This global network of schools is hardly a mom & pop operation, but there is a Mom & Dad of Miami Ad School. Ron & Pippa Seichrist gave birth to this innovative concept in 1993 and are still very involved in the constant evolution of the school. Miami Ad School partners with the industry to create the most unique portfolio program possible that reflects the latest needs of global advertising agencies and brands. The atmosphere is a little kooky, but when you walk into a Miami Ad School anywhere in the world, you’ll feel at home. You’ll be surrounded by friendly people gathered in small groups brainstorming ideas or concepting over a game of ping pong. Chances are you’ll also be met by a happy wagging dog. As a student, you enter a very large, close family and graduate over-prepared with a great portfolio and global, real-world experience. As I was flying from The Netherlands to Toronto, I new a big adventure was awaiting me. It was the country, the city, the school, the teachers, the students. I've never been to a school where people are SO motivated. Because of the admission process, you just feel everyones drive to do their absolute best. Working together in groups with people from all over the world doesn't just teach you what you learn in class, but also what your classmates think about advertisement in their country and cultures. That gives you a very broad perspective on working in the industry. I also never felt so understood by teachers before. They listen and are able to give just that personalized feedback to make you better, without trying to change your way. 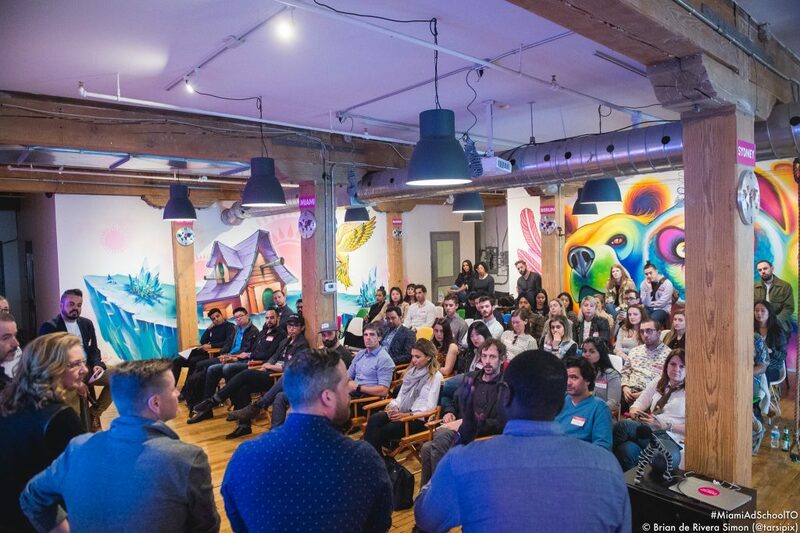 I am very happy I was a part of Miami Ad School Toronto, and would love to do it again, no doubt!